My four summery happies for Jen's sweet series over at little birdie. 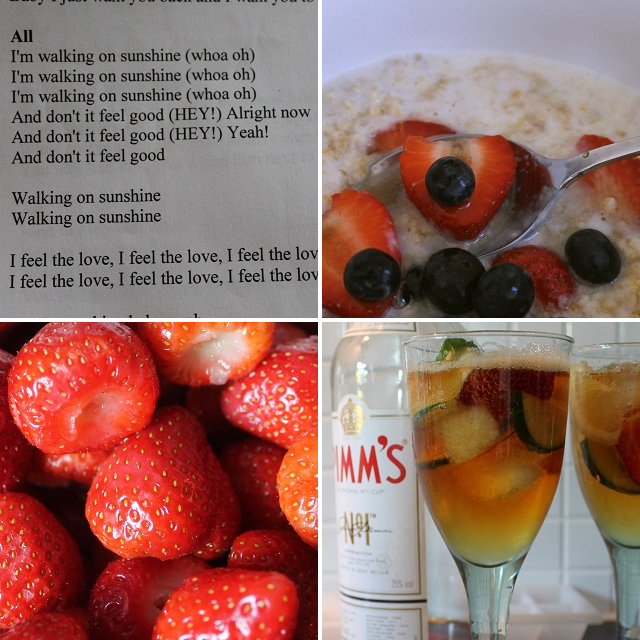 ♥ Pimm's with strawberries - of course! Oh, those glasses of Pimms look so delicious and refreshing! I've put my bottle to the back of the cupboard as it is more mulled wine-type weather in Australia. Mmm, strawberries, summer is here indeed.